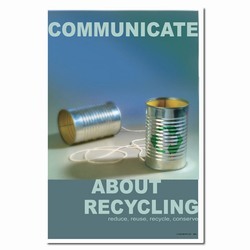 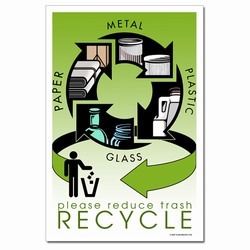 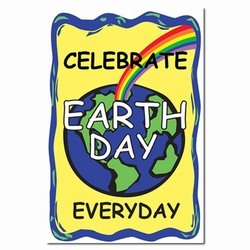 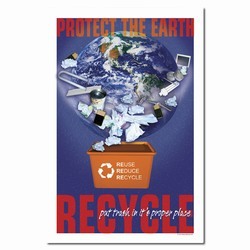 Theme: A recycle symbol shows a method for recycling metal, plastic, glass and paper. This illustration shows the full cycle of waste management for all recyclable materials. 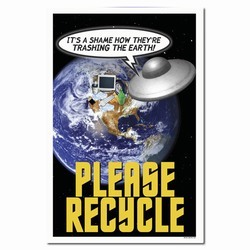 Message: "Please Reduce Trash, Recycle."